Voodoo Dreams offer both fun and mysterious online gaming. As you can probably guess from the name, it has a magical vibe to it. When you go to the site, all you will see is the text “Voodoo Dreams” with a black background. The text pulsates in a very creepy way as you wait for the site to load completely. That few seconds in itself brings about an air of mystery, thrill, and a lot of excitement that will surely get you going by the time you get to the main lobby. The whole feel is really different and you can expect the same from the rest of the online casino. Voodoo Dreams Casino is an online casino run by SuprNation Limited. It is a Malta-registered company that is regulated by the Malta Gaming Authority. The website offers a lot of online casino games that can be played in a secure manner and in a user-friendly platform. You can play across multiple devices – whether it is on your phone, desktop or a tablet. For new customers, the online casino offers a very generous welcome pack that is made up of 5 different freebies. All in all, the bonuses amount to 10,000 in value. In fact, you get 20 free spins immediately after you register – even without a deposit. Once you have made a real money deposit that is when you get 4 other deposit bonuses. Voodoo Dreams promote responsible gaming and carefully explains that losing is a part of online gambling as winning. This is why the casino set up limits that their players can activate to control the real money being played online. So what is it like to play casino games with Voodoo Dreams? To start off, you can download the games or play online using multiple devices. This makes it very easy to access. Not only that, you can also play the games anytime and anywhere. All the games available in Voodoo Dreams are powered by either Microgaming, NetEnt, and Yggdrasil. That means a lot of them have great animation, graphics, and promises hours of fun and excitement. When you get to the main lobby, you can choose a game from the top navigation bar or a selection of icons at the bottom. The games are divided into the jackpot slot, table, and live casino games. 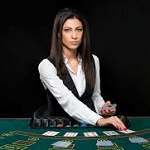 For the table games, you have roulette, blackjack, baccarat, red dog, and even Casino Holdem as your options. If you are looking for video poker games, you can find them in the “Other Games” options. Slot machine games include popular ones like Alien Robots, Hidden Valley, Couch Potato, Dragonz, Tomb Raider, Big Kahuna, Sugar Trail, Hellboy, Fish Party, etc. For the jackpot games, you can choose among many progressive games including Fruit Fiesta, Treasure Nile, Mega Moolah, etc. To play the live casino games, you can click on the “Live Casino” tab on the top navigation bar. The live dealer games include HD and French roulette and blackjack. A unique thing about playing Voodoo Dreams is the fact that you can play and earn points along the way. You have both Experience Points (EP) and Spirit Points (SP). You can earn these points every time you hit a winning spin or complete a game. As you collect these, you can use the points to unlock “spells”. As you gain more Experience Points, your Voodoo Level increases as well. With a higher level, you get to enjoy better rewards and access to more spells. Every time you reach a new level, you get 4 new spells. For the Spirit Points, these are collected every time you play, register or take up a special offer. These points will allow you to use the spells that have been unlocked. There are 4 different spells that give different rewards. The Blood Magic gives free spins, the Dark Magic gives a small deposit bonus, the Light Magic gives a big deposit bonus, and the Spirit Magic gives real money. When you register with Voodoo Dreams Casino, new players get a no-deposit bonus. 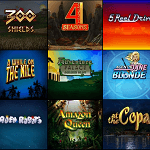 This is 20 free spins that you can use on NetEnt slots. Of course, that does not mean you do not have to make a deposit. If you want to win real money, you have to make a deposit first. And when you do, you get to claim more bonuses and free spins. When making a deposit, members can choose from several banking options like Visa, MasterCard, Euteller, Skrill, Entercash, Zimpler, Neteller, and Trustly. Most of these payment methods are free of charge but there is a small processing fee if you are using credit or debit cards. 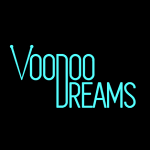 Voodoo Dreams accepts various currencies like EUR, USD, NZD, SEK, GBP, DKK, NOK, CAD, and AUD. The minimum deposit and withdrawal amount are €10 for both. The processing time for withdrawals will usually last for an hour – as long as it is within the support hours. Question: What can I expect from the games offered at VoodooDreams? Answer: The online casino only offers the best games. There are slots (including progressive jackpots), classic table games and even a live casino. From Mega Fortune, Mega Moolah, Gonzo’s Quest, Starburst, and typical casino games of blackjack and roulette, there are so many options for online players to choose from. Question: Can you help me be responsible with my money? Answer: Yes, VoodooDreams has a Responsible Gaming program that will help control how much you spend on the site. This program allows you to set your limits so you do not bet more than you can afford to lose. Question: Can I play live casino? 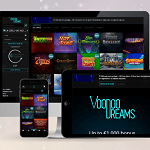 Answer: VoodooDreams has a great live casino powered by NetEnt. It can be accessed through both desktop, smartphone or tablet. The live casino features typical games like live blackjack and roulette but it will soon include other games. Question: Who manages VoodooDreams Casino? Answer: The online casino is operated by SuprPlay Limited and it registered under the government of Malta. They are licensed by the Malta Gaming Authority and UK Gambling Commission. Question: How long before I can receive my withdrawal? Answer: A typical payout speed is 1 week. The waiting time will depend on whether you followed the terms and conditions, wagering requirements, or completed the verification process.